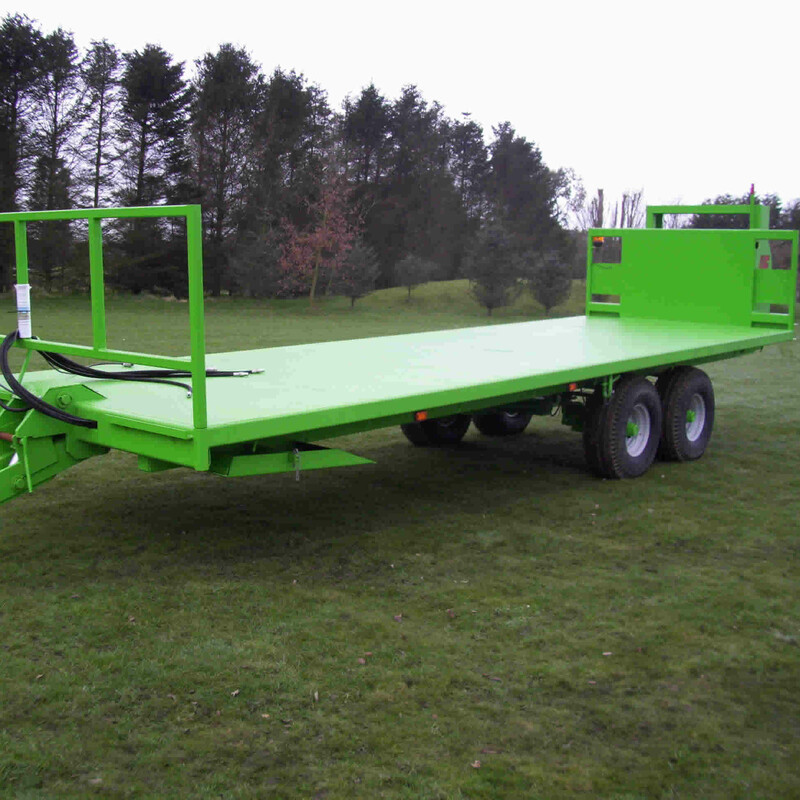 Jones Engineering Multipurpose Low Loader Trailer has been designed to ease the movement of wide implements safely with the ability to utilise the trailer for other transportation tasks such as the the movement of fertilizer, bales, potato boxes etc, with a payload of up to 8 tonnes. The innovative construction boasts mid mounted wheels as on a normal trailer delivering better weight distribution plus tighter turning circle for manoeuvering. 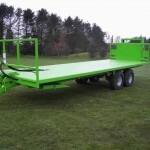 The Low Loader Trailer includes quality rear road lights, flashing beacon easily visible from the rear, rope hooks, loading ramps, large toolbox to conveniently store ramps, ropes, chains etc. Twin Hydraulic Rams to eliminate twisting and Hydraulic Brakes with a ram on each wheel fitted with ISO coupling. 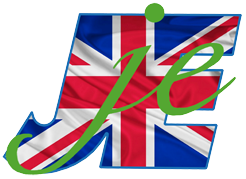 The Jones Engineering Low Loader Trailer lowers to the ground with ease. 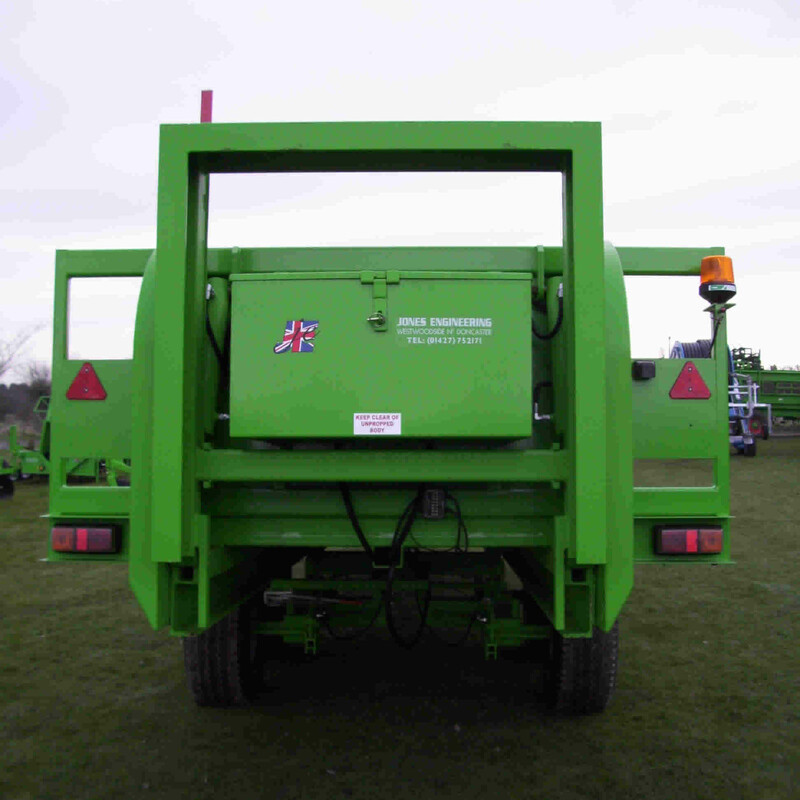 After releasing a locking pin and lowering the rear tailgate, the brakes are applied on the trailer and the tractor driven forward until the wheels are at the rear. 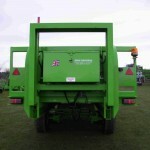 The drawbar transport pin is removed and the rear tailgate lifted, lowering the rear of the trailer. The drawbar is then lowered leaving the trailer bed at floor height ready to load.